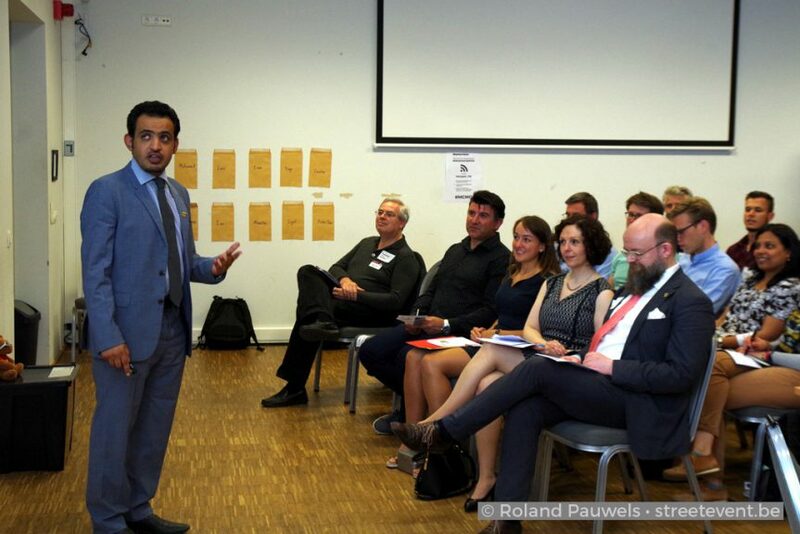 On Thursday 19 May, World Champion of Public Speaking Mohammed Qahtani gave a Masterclass at Toastmasters Antwerpen. 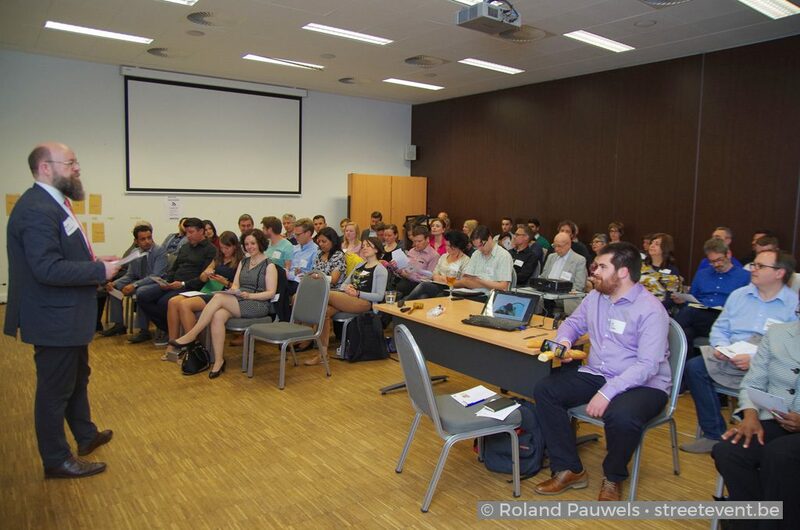 After a keynote that was a 15 minute public speaking crash course in its own right, Mohammed gave instant feedback to no less than 15 speakers in front of a room packed with 70 enthusiastic Toastmasters and guests from all over Belgium and beyond. The Wall of Feedback, as seen at the Lille Division conference, ensured that all speakers went home an envelope full of written feedback from attendees, on top of their on-stage coaching by the World Champion. Egwin Gonthier, President of Toastmasters Antwerpen, was the Toastmaster of the Evening. 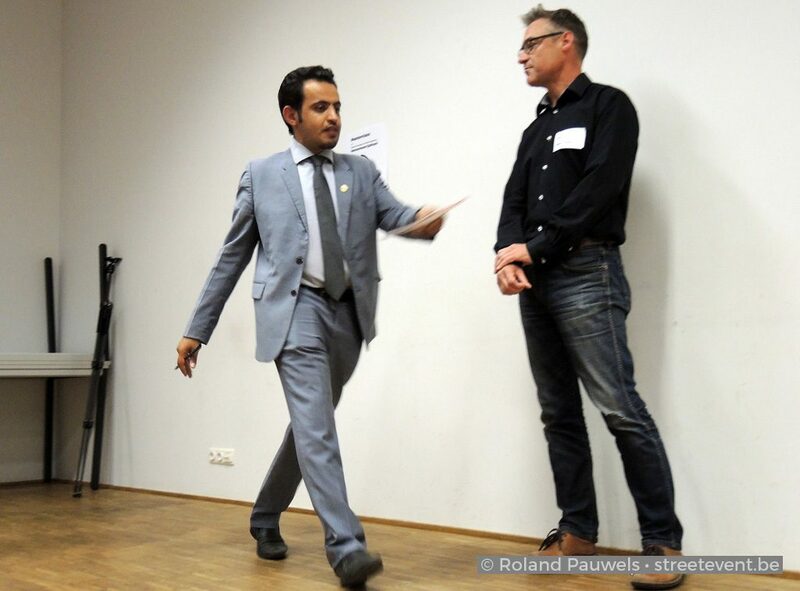 Mohammed Qahtani walked the talk while giving feedback on stage use to Ian MacBeath, long standing member of Toastmasters Antwerpen.